While society grows more conscious in terms of health in both body and mind, the supplement market has yet to catch up with this trend. Yes, there’s an abundance of choices. So much that finding the right combination of supplements becomes a time-consuming task. 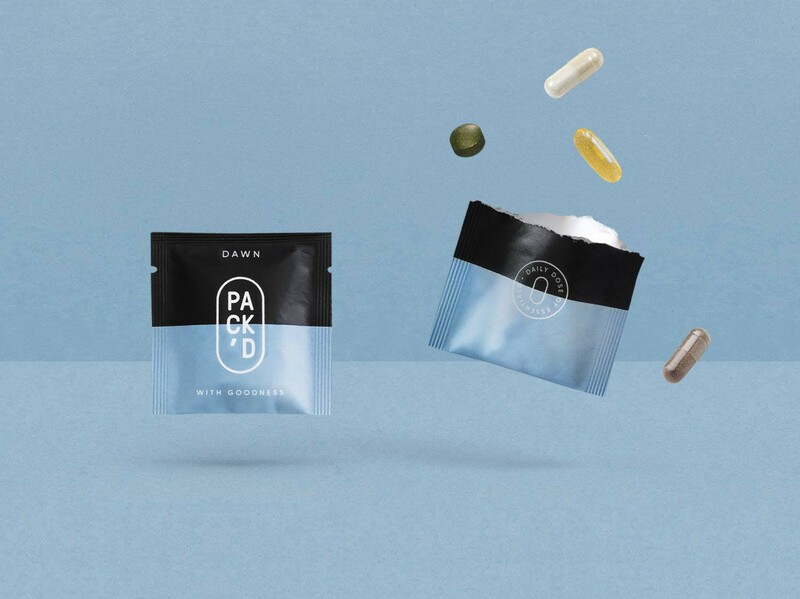 To simplify the process, David Box and Kristof Pirijns of PACK’D collaborated with the best nutritionists in Belgium to develop a curation of daily essentials to optimize your health. In January 2016, when David opened Antwerp concept gym The Brick, the visual tone was unlike that of the average gym. With an upscale, design approach, the concept gym set itself apart from other gyms. This is also where he met Kristof Pirijns. After meeting with a few celebrated Belgian nutritionists, the two formed a team that was given carte blanche to create the ultimate combination of supplements to enhance your life. A daily dose of essentials, they would call it. Just like with The Brick, this new concept would take a more upscale, design approach to supplements. Spread across 7 different focus points, from Greens, Bones, Immune & Digest for the general health kick and Focus, Active & Omegafor physical and mental performance, the PACK’D box forms an alternative to drinking wheatgrass juices and drinking gallons of milk. From the outside, the box looks slick and minimalistic – something that often can’t be said about supplement jars that you buy in health stores. Once opened, you’ll find sachets packed with various small tablets and caps – one for dusk and one for dawn. These daily doses of essentials would not only be seen as supplements, but optimizers for your body and mind. Very self-explanatory and intuitive, the box explains everything that’s in the capsules, from Greens, Bones, Immune & Digest for the general health kick and Focus, Active & Omega for physical and mental performance.